Makati is home to some of the best dental clinics in the Philippines. Locals and foreigners can flock to is as a place known for dental clinics that meet world-class medical standards and offer a wide range of dental services at affordable prices. When it comes to solving and preventing dental problems, dentists in Makati perform procedures with high regard to a patient’s condition and desired results. They are committed to satisfying one’s unique needs and keeping the teeth and gums healthy. Where in Makati can you solve your dental issues? 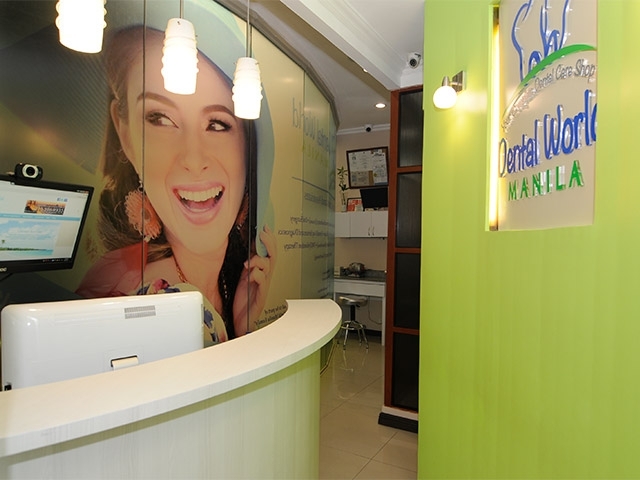 Dental World Manila is one of the leading and trusted clinics that you can count on. For more than ten years, this dental clinic has been serving numerous people from different walks of life. It offers a comprehensive line of dental services which includes cosmetic dentistry, implant dentistry, prosthodontics, oral surgery, endodontics, orthodontics, TMJ dysfunction therapy, restorative dentistry, periodontics, pediatric dentistry, dental x-ray services, oral prophylaxis, diagnostics, tooth extraction, bone grafting and teeth whitening. With state-of-the-art equipment, high-end facilities, complete tools and competent dental professionals, you are assured that premium dental care is within your reach. Hence, if you are looking for world-class, affordable, friendly and extensive dental services in Makati, you’ve found it right here!